DreamTeamMoney Forum > E-currencies Exchange, Benefactor, Cashback Offers and Scams Alert! > E-Currency Exchange & Payment Processor - Buy, Sell & Trade E-Currencies here! Please use caution when requesting a currency exchange, or helping someone with a currency exchange. Please do not trust anyone easily including upgraded or senior members. Every time you do a currency exchange with someone you don't know, you are putting your money at risk. The person you did an exchange with could attempt a chargeback and walk away with your money. Only exchange with people you know and trust! Please do not post your email address here. Use the PM system. Anyone that post their email address in the exchange sub forum will be banned. All E-Currencies Discussion from Paypal, STP, Alertpay, Egold, Ebullion, WebMoney, WU, Liberty Reserve, Pecunix and any other e-processor discussion forum. E-Currency Exchange & Payment Processor - Buy, Sell & Trade E-Currencies here! Exchange Bitcoin And Paysafecard To Paypal, Perfect Money, Skrill, Webmoney, Litecoin. 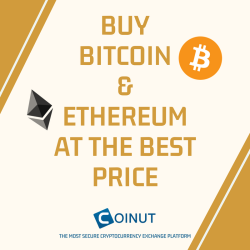 Exchange Bitcoin cryptocurrency. Exchange Paysafecard instantly. Exchange Bitcoin / Litecoin / Ethereum And Paysafecard To Paypal, Perfect Money, Skrill, Webmoney. Btc / Ltc / Eth Withdraw. Cash out Bitcoin, Litecoin, Ethereum, Paysafecard instantly. PM, BTC, LЕС, BTC-e Codes, WU, MG, RIA and more. Buying/selling Google Play,best Buy,walmart,itunes Usd,onevanilla,amazon,ebay,steam And More!! !